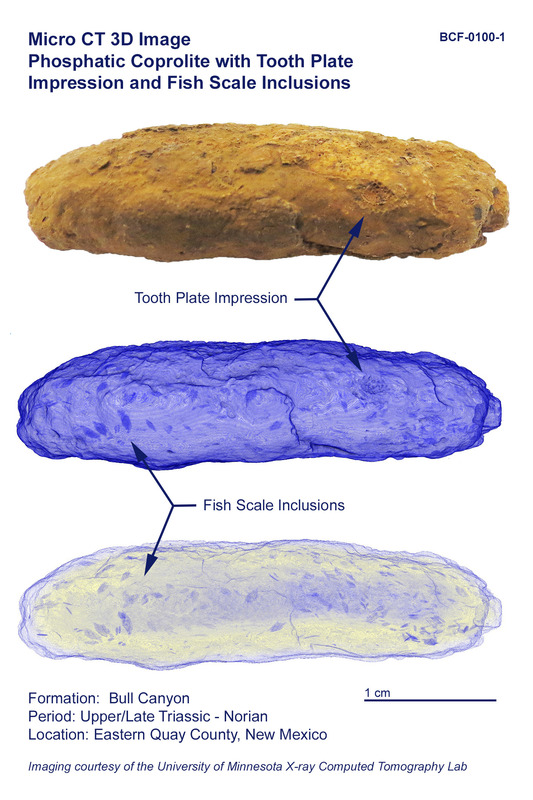 The location where this was found contains both aquatic and terrestrial animals from floodplain habitat. In this coprolite, a small tooth plate impression with residual fragments can be seen on the surface. 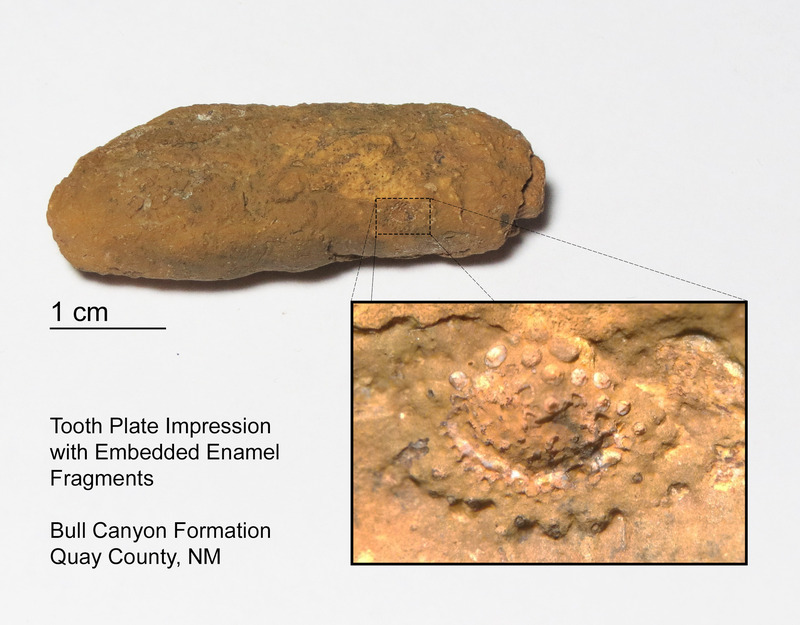 Since a similar tooth plate was not found within the coprolite itself, it is unclear whether this is an undigested prey remnant or if it was embedded upon deposition. 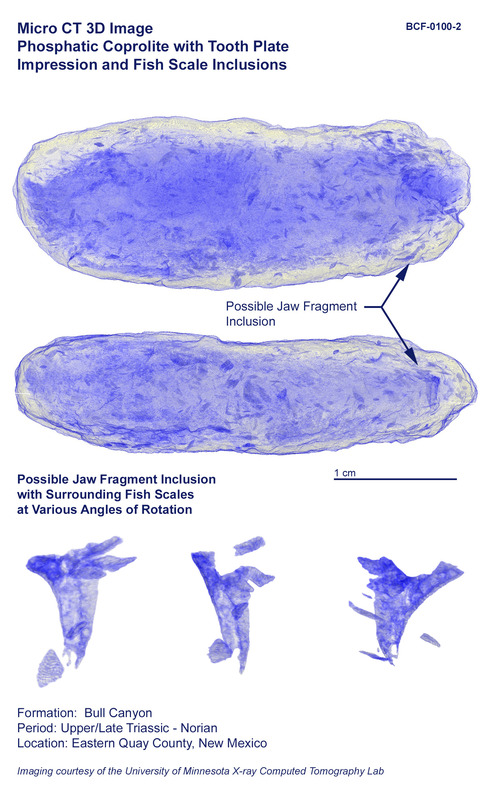 An unidentified bone and numerous fish scale inclusions were revealed using X-ray computed tomography. This specimen was scanned in April 2016 by the University of Minnesota X-ray Computed Tomography Lab using a X5000 high resolution microCT system with a twin head 225 kV x-ray source and a Dexela area detector (3073 x 3889 pixels).